We all fail down here. 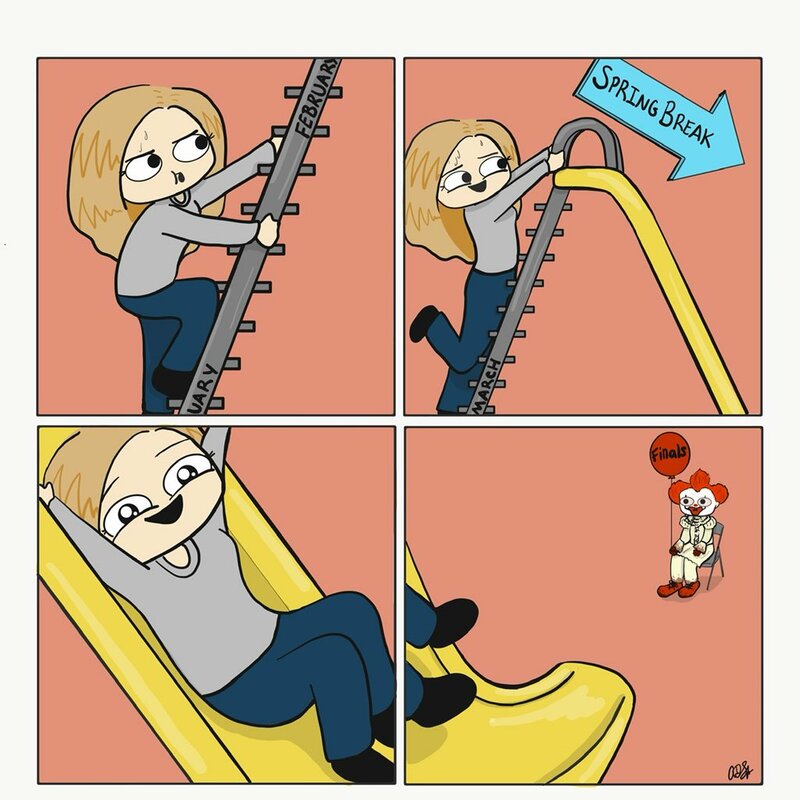 The latest AmandaPanda comic that captures the joy of reaching Spring Break—until you see what’s waiting at the bottom. This comic originally appeared on the AmandaPanda Comics site.